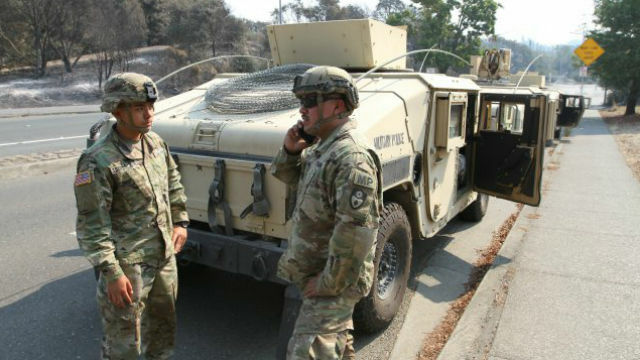 In a letter to federal authorities, Brown said the California National Guard troops would be added “statewide,” so it was unclear exactly how many of those 400 troops would actually be sent to the border. He said the state’s transnational-crime effort currently includes 250 personnel statewide, including 55 at the border. Republican governors in the border states of Texas, Arizona and New Mexico have already deployed a combined 1,600 National Guard troops to the Mexican border in response to Trump’s call for added staffing. Trump made the request last week, with the federal government paying the cost of the troop deployment. He said the troops were needed because of “lawlessness that continues at our southern border,” and he wanted increased security while he continues his push to build a wall along the entire border. Until Wednesday, California was the only border state that hadn’t responded to Trump’s request. In his letter, Brown took issue with suggestions of chaos at the border.